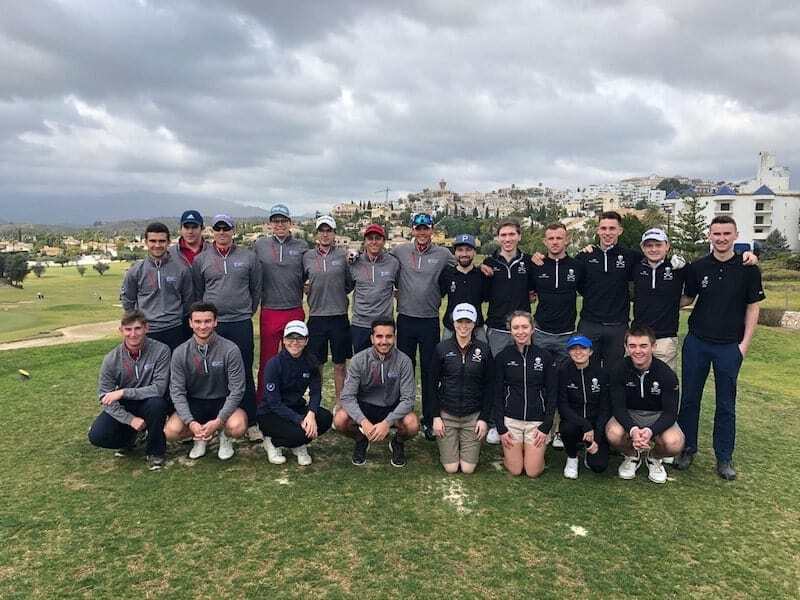 On Saturday, February 16, the University Golf Program Málaga team competed again against a British university, this time with the University College Cork of Ireland. The golf course Mijas Golf Los Olivos (Malaga) hosted the event. The competition format was a Match Play, one day event. The players found themselves with an undemanding field, in very good condition, which generated confidence and allowed them to develop attractive and fought matches. Thus, the final result was only a difference of one point and the victory was for our University Golf Program Málaga team by 4.5 to 3.5. Both universities team players exchanged not only material gifts but also principles and values on and off the golf course, wishing a new competitive meeting for the next season. We thank Mijas Golf Los Olivos for the attention and service a to carry out the event. Be part of the victories of the University Golf Program Málaga, study a university career in Malaga, work your golf and be part of the team.